Evoking the spirit of curiosity, Martell Blue Swift, offers an unsuspected tasting experience with the First Martell VSOP Finished in Kentucky Bourbon Casks. Over the last few weeks’ social media users reported various sighting of The Blue Swift, a bird with the unique and rare ability to fly for exceptionally long distances, crossing over the Atlantic Ocean twice a year. 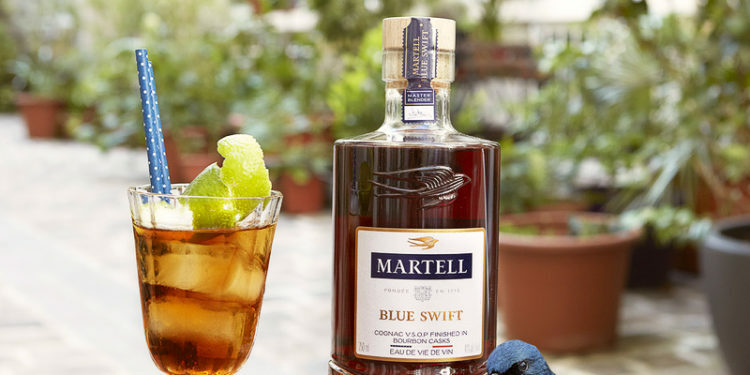 The Blue Swifts arrival has been very well received as Martell, the oldest of the great cognac houses, reveals Martell Blue Swift, an Eau de Vie de Vin made of 100% Cognac VSOP finished in Kentucky Bourbon casks. This newest product innovation was inspired by Martell’s rich and storied history with America. In the spirit of curiosity, the Brand Ambassador of Martell Nigeria, Mayowa Eyitayo has embarked on the ‘Follow the swift game’, unveiling the product to celebrities such as M.I Abaga, Iyanya, Bizzle Osikoya, Asa Asika, Gbemi Olateru, POE amongst others. In true Martell style, the reveal left several of the influencers stunned. Martell has set the standard for quality and excellence for over 300 years and perfected its approach to produce superior quality cognacs. The creation and production of Martell Blue Swift Eau de Vie de Vin is attributed to Martell’s ongoing belief in the power of curiosity. 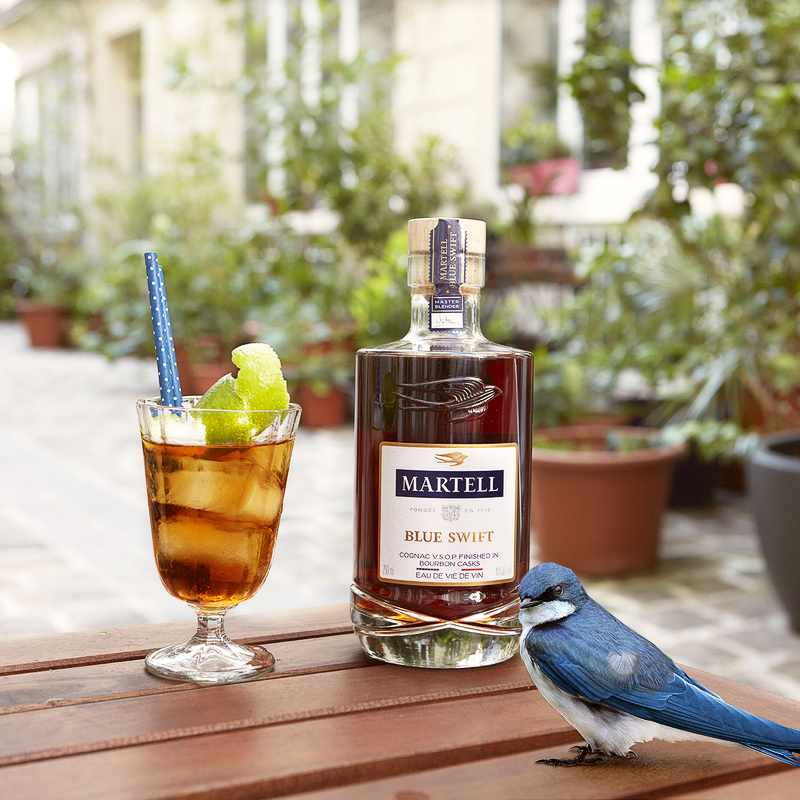 More than a cognac, Martell Blue Swift follows the curious spirit of founder Jean Martell, as he has produced one of the most well respected and established cognac brands in the world. “The House of Martell has always proudly launched disruptive products, reinventing the standards through new blends, new designs and even new territories and we believe that this product will be enjoyed here in Nigeria.” said Crag Van Niekerk, Marketing Director, Pernod Ricard Nigeria. “Martell Blue Swift is a product born out of the power of curiosity, and we look to celebrate those who embody and share our curious spirit with the release of our latest innovation.” Finishing Martell Cognac VSOP in Kentucky Bourbon casks, Martell Blue Swift is unlike any other spirit on the market. Martell’s signature cognac distillation process allows for the absorption of rich aromatic tones from the bourbon casks, adding to the richness of the finished product. The delicate notes of candied fruit and plum, found in Martell VSOP, are complemented by the subtle sweetness of vanilla and toasted oak from the bourbon casks from Kentucky. The result is a supremely unique spirit that is exceptionally smooth with a rounded taste and distinct character that can be enjoyed neat, on the rocks or in classic cocktails. The Martell Blue Swift bottle pays homage to Martell’s iconic swift emblem, a bird with the unique and rare ability to fly for exceptionally long distances, crossing over the Atlantic Ocean twice a year. The bottle takes on the shape of both cognac and bourbon casks and the elaborate “cut- glass” detail on its base evoking classic crystal decanters. The Martell Blue Swift will be available in stores soon for purchase across the country with every purchase receiving a Limited Edition 24 Apparel Snapback.